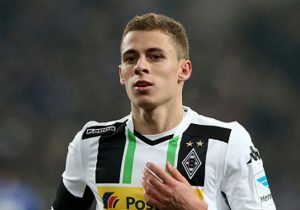 Thorgan Hazard is set to leave current club Borussia Monchengladbach in the summer, according to the German outfit’s sporting director. The Belgian midfielder is having a tremendous season but is out of contract next summer. Max Eberl has suggested that the club would prefer to sell Hazard as opposed to letting him go on a free transfer. He did also suggest that he did not yet know where he would end up should he leave. Talking to Sky Germany, Eberl said: “Thorgan has informed us that he doesn’t want to extend his contract and that he wants to leave the club in the summer to take the next step. Hazard has been brilliant since joined Gladbach from Chelsea. In 176 appearances, he has scored 45 goals and provided 43 assists, including 12 and 11 respectively this season. He is one of the favourites to open the scoring against Hannover 96 on Saturday with odds of 5/1 with Betfred.